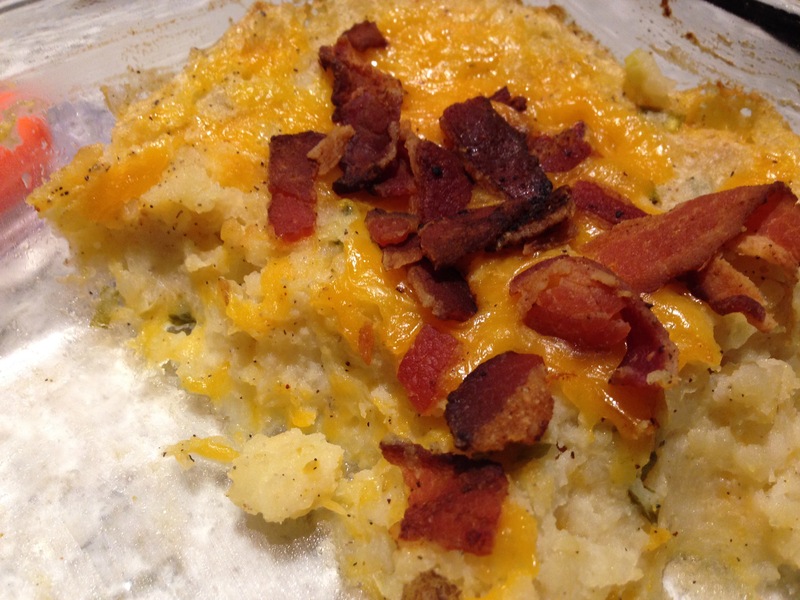 This casserole is made like twice-stuffed potatoes, except that you make a casserole with the enriched potato instead of stuffing it back in the potato skins. 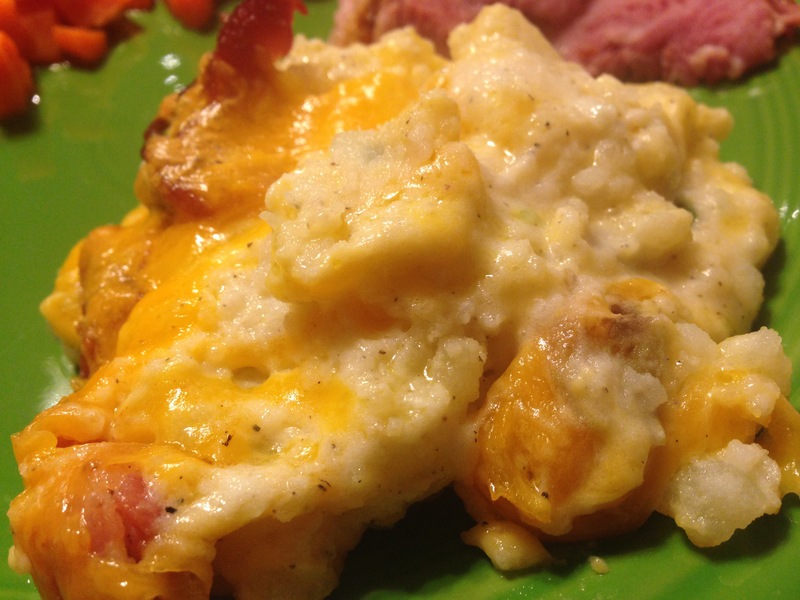 This is an easy make ahead dish. Cut bacon crossways into slices and fry until crisp. Mix boursin cheese, 1 cup cheddar, sour cream, chives, salt and black pepper into mashed potatoes. 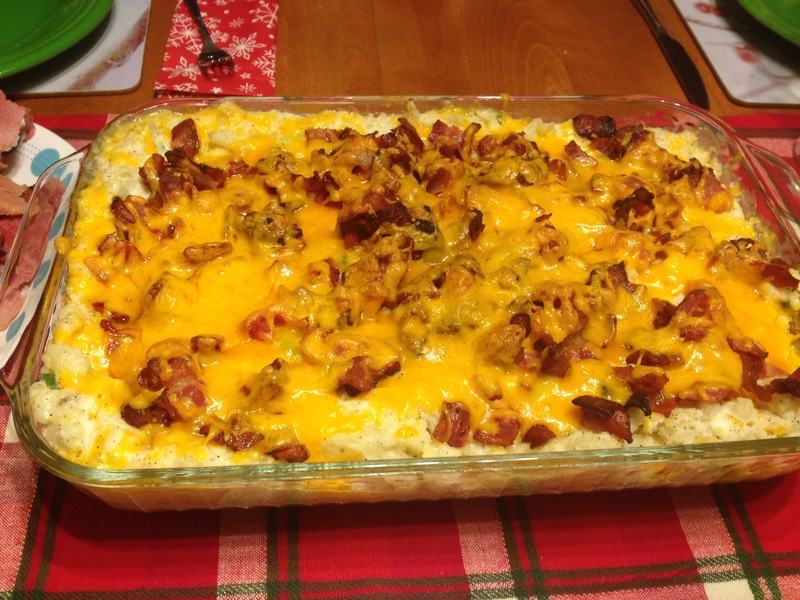 Spread potato mixture into a greased 9×13 casserole dish; top with reserved cheese and crumbled bacon. Bake in a preheated 350 degree F oven until cheese is melted (about 10 minutes).